A chemical abortion is one option available to women in the event of an unplanned pregnancy. Chemical substances may be used to terminate a pregnancy during a chemical abortion. Chemical abortion, sometimes called medical abortion or non-surgical abortion, is the termination of a pregnancy using an abortifacient, meaning a chemical substance that induces abortion. The drugs used to perform a chemical-induced abortion cause the womb to contract and expel the embryo, similar to what happens during a miscarriage. A chemical abortion can only be performed in the first nine weeks of pregnancy, and while no hospital stay is needed, several doctor's appointments are required. Chemical abortion is effective in 95-97% of cases, and a surgical abortion, meaning a surgical procedure to remove the embryo, is usually performed if the chemical abortion does not terminate the pregnancy. The expected symptoms of this procedure include mild to severe cramping and heavy bleeding for some hours, followed by lighter bleeding for several weeks. 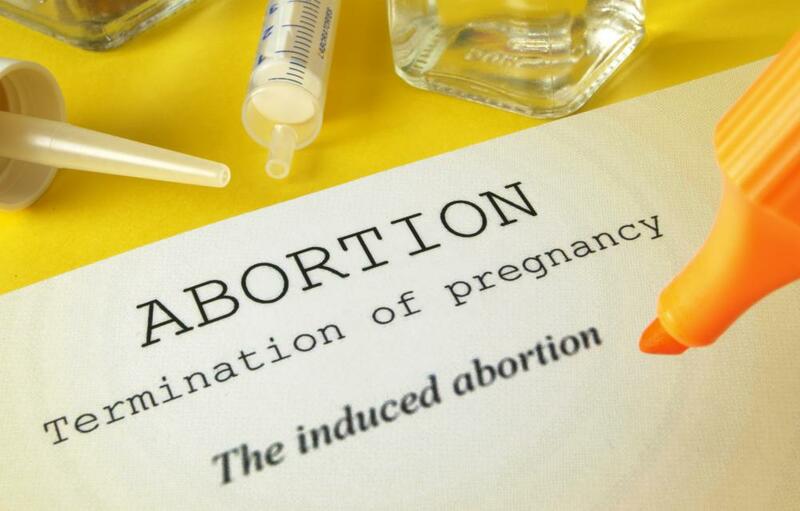 A combination of abortion-inducing drugs is commonly recommended to perform a chemical abortion to ensure that the pregnancy is terminated effectively and safely for the woman. The first drug is usually administered in the doctor's office and can be mifepristone, also known as RU 486 or the abortion pill, tamoxifen, or methotrexate. Some days later the woman takes another drug, often misoprostol, at home. The abortion then happens within six to eight hours, resulting in cramping and heavy bleeding for several hours as the embryo and lining of the womb is expelled. A doctor's exam is required within two weeks after taking the first medication to determine if the pregnancy has been terminated. Light bleeding can be expected for one to two weeks after a chemical abortion, and can continue for a month or more, though this is uncommon. The most common cause of complications after this procedure is that some tissue remains inside the uterus, which can cause infection, cramping, and bleeding. Occasionally a surgical procedure called dilation and curettage (D&C) is required to remove this remaining tissue. Signs of possible infection and other abortion-related complications include fever, abdominal pain, and very heavy bleeding. In rare cases these complications can be fatal or affect the ability to become pregnant again. Some women choose to terminate an unwanted pregnancy or unplanned pregnancy with drugs rather than a surgical abortion because they think the procedure is less invasive and more private. Chemical abortions can also be done earlier in the pregnancy than surgical abortions. However, chemical abortions fail more often than surgical abortion types, and the chemical abortion process also takes longer. When a chemical abortion fails, a surgical abortion must be performed, because of the risk of severe birth defects.